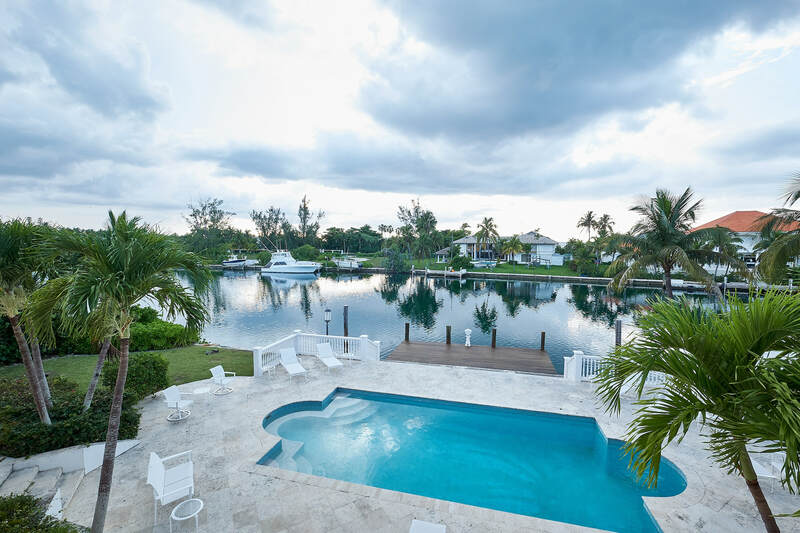 This elegant two-story newly renovated luxury canal front home has a swimming pool and 175 feet of canal frontage. Poinciana exudes classic elegance. 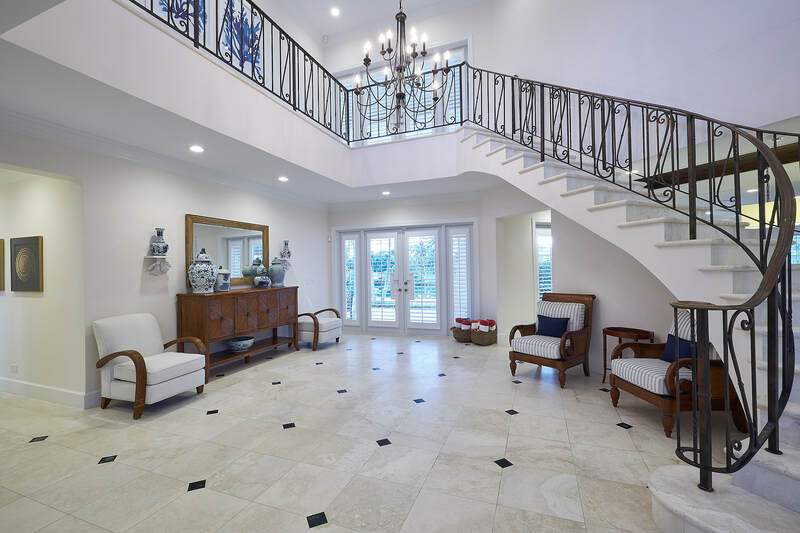 The double-height entrance foyer has a wrap-around marble staircase and views over the pool deck and waterway. 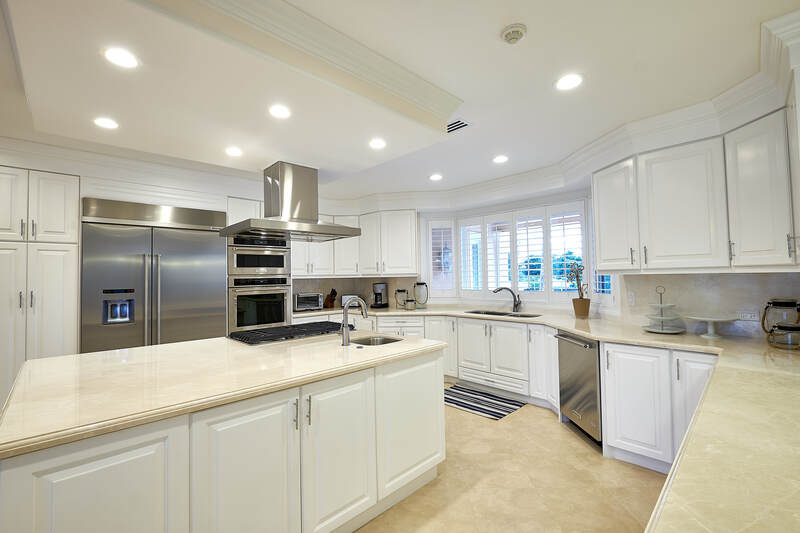 The newly renovated large kitchen is perfect for entertaining with marble countertops, a cooking island and oversized built-in stainless steel designer appliances opening directly into the family room. 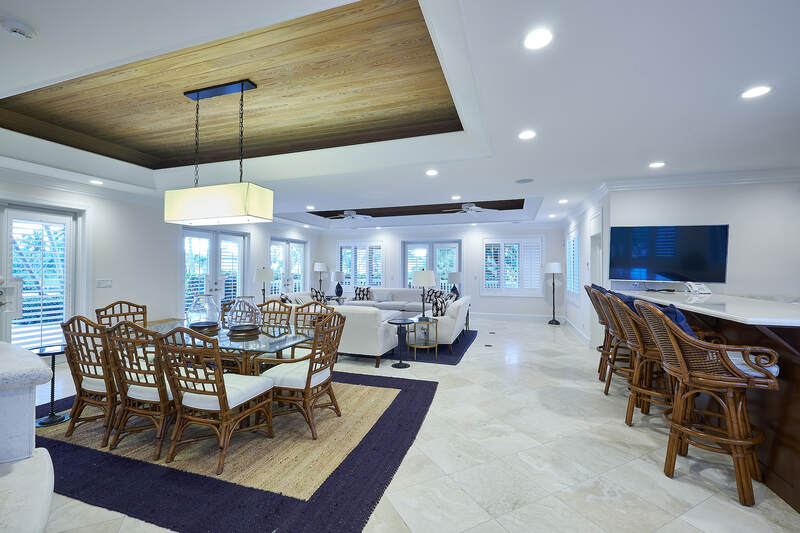 Entertaining spaces on the main level include a formal living room, dining room and a wet bar finished with marble countertops and bar seating area. The master suite creates the perfect sanctuary with mahogany floors in the bedroom, study and dual walk-in closets with a wrap-around veranda. The master bathroom is fully marble tiled with over-sized soaking tub, separate shower and toilet room, dual sinks and a built-in sit-down vanity desk. 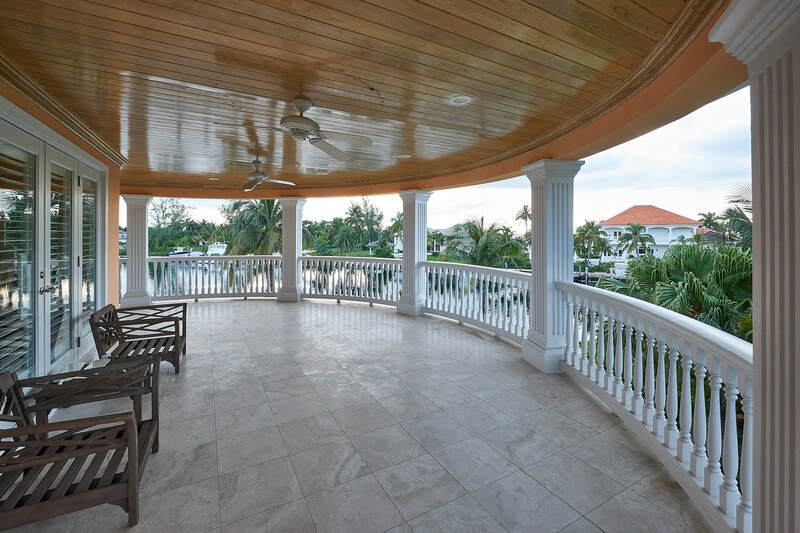 This home perfectly blends interior elegance with outdoor Bahamas living. The home is fully furnished in brand-new condition and never lived in since a full remodel. The listing for $6.995 million is held by Craig and Evelyne Ashley of CORE Real Estate Group in Beverly Hills and James Bernard of Bahamas Realty, an affiliate of Luxury Portfolio International®.